Dr. Alex Weiss is Head of Data Science and manager of the Data Analytics team at GetYourGuide, one of the world’s most successful online travel startups. After receiving his PhD in econophysics from TU Berlin, Alexander worked as a risk manager at the world’s third largest reinsurer, Hannover Re, where he applied prediction models to estimate the company’s losses due to natural catastrophes. When he discovered data science and the fast-paced startup world, he did not hesitate to leave his mapped out career path. 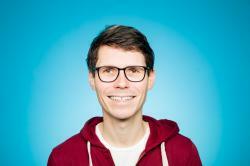 Alexander started working at the small Berlin-based mobile advertising startup Trademob. He spent the next 3.5 years building and improving their real-time bidding platform for mobile ads. Currently, Alexander is focused on bringing more data products and insights to GetYourGuide.